​You may also pick up your race package on race morning May 4th at Westsyde Pool Fields between 6:30 am and 7:30 am. Remember your photo ID and your Tri BC proof of membership. There is an FAQ to answer your questions, and you can email us at kamloopstriathlonclub@gmail.com if we missed something. Arrive early.to check in and get body marked. For safety reasons and for easier racer identification by course marshalls, all competitors will be marked with permanent ink with their race number. Only athletes and race volunteers are allowed in the transition area. You may only leave gear for the race in transition. Leave valuables in your car or in the lockers on the pool deck (quarters required). Only athletes will be allowed to retrieve their belongings from transition. Re-entry will be allowed upon completion of the race. We want to ensure the safety of all athletes and the security of their bikes and gear. Be aware of the entrance and exits from transition- called the “chutes”. Before your race begins, make sure you familiarize yourself with the run entrance chute (from run course to transition), the bike exit chute (from transition out onto the bike course), the bike entrance chute (coming back into transition from the bike course) and the run exit chute (leaving transition for the last time and heading out onto the run course). Remember where your bike and gear are. After setting up your equipment in transition and before leaving for the run start, make a mental note of where your bike is. Is it in the middle of transition? Is it beside the big tree? Is it near the water station? Perhaps you can place your favourite towel over your bike. This will help you quickly find your way to your bike when you are running in to transition after your swim. A water station will be located after the exit from transition. Make sure you drink lots! Ideally you should be familiar with road rules and proficient at basic bike skills (e.g. signs, signalling, stopping, cornering, riding in a straight line, and riding with other people/passing). Remember the course is not closed to vehicle traffic. Keep right, and obey all traffic marshals. Slow down for corners, hazards (i.e. bumps, crossings) and turn-a-rounds. Make sure you know where your turnaround will be. Keep your head up, eyes open and be safe! Follow route marshals directions at all times. Familiarize yourself with your race specific route(s). Make sure you know how many laps you have to run. Wear your bibs in the front. Clear the finish area after completing your race to help the timers do their job. Water will be provided on the run but not at the exit of transition. Have fun and be sure to give the other participants lots of space. 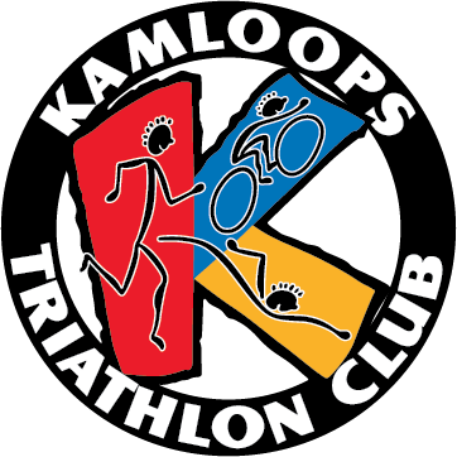 The Kamloops Triathlon club is dedicated to make this event a first class event geared toward beginner triathletes. The Kamloops Spring Sprint is sanctioned by Tri BC. Please see the Tri BC website for up to date rules. The Kamloops Triathlon club is a non-profit society that manages this event. This event may be delayed or cancelled due to adverse, inclement, or unsafe weather. Should the event be delayed, the starting time of the event will be moved back accordingly. The delay will be communicated to all participants. The Kamloops Triathlon club has the authority to cancel an event. If cancellation of an event takes place, please follow instructions of the event officials and local law enforcement personnel. Your entry fee is not refundable if an event is cancelled due to adverse, inclement, or unsafe weather. The Race Director also reserves the right to modify the course at any time before or during an event by his/her own judgment or if instructed by local law enforcement personnel. There is no refund for cancelled registration for this event. Event entry fees are not transferable to another person. Any purchase or transfer of registration other than through the Kamloops Triathlon club compromises the sanctioning and insurance of the event through TRIBC. Every effort is made to ensure the accuracy of the information found within www.trytri.org content of this site. The Kamloops Triathlon Club will not be held liable for mistakes, typographical errors, omissions, or other errors which may render some information inaccurate. Information and policies found within this site is subject to change without notice. This will be an informal session where you can take a look at the venue and get familiar with the courses and transition areas. Members of the committee will be on hand to answer any questions you may have. Stay tuned via Facebook or read race emails for date and time.